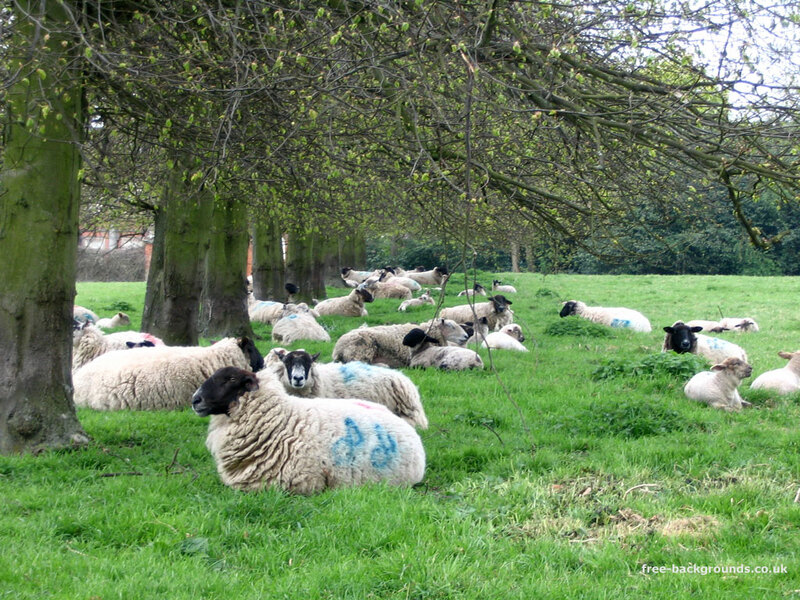 On a warm but overcast day, these sheep were having a bit of a rest under the trees at Hanbury Hall, a National Trust property in Worcesteshire with very large grounds. The sheep are quite free to walk around - there's no fence between them and the visitors! This picture was taken at the end of April, and you can see that some of the sheep are in fact spring lambs - perhaps a month or so old by this point.